The harmonising action of lavender soothes body and mind and helps to promote a peaceful night's sleep. Allow your senses to be truly pampered by this soothing & calming bath milk and body oil. 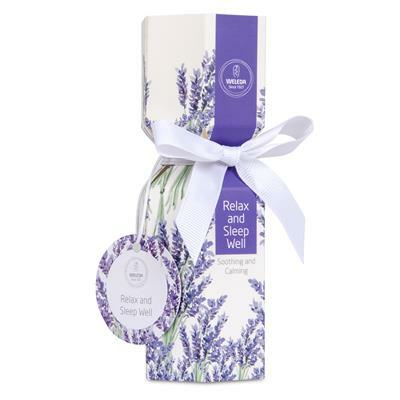 The wonderful scent of lavender helps to relax the body and mind and paves the way for a peaceful slumber. Lavender Relaxing Bath Milk 10ml: Shake the bottle and pour into a warm bath just before stepping in. Allow up to 20 minutes for the essential oils to take effect. After bathing use our Lavender Relaxing Body Oil. Lavender Relaxing Body Oil 10ml: Apply a few drops and massage into slightly damp, clean skin after bath or shower. For even greater benefit, soak in Weleda’s Lavender Relaxing Bath Milk before use. Lavender Relaxing Bath Milk 10ml: INCI: Water (Aqua), Lavandula Angustifolia (Lavender) Oil, Linalool*, Potassium Olivate, Glyceryl Oleate, Alcohol, Glycerin, Limonene*, Geraniol*. *from natural essential oils. Lavender Relaxing Body Oil 10ml: INCI: Prunus Amygdalus Dulcis (Sweet Almond) Oil, Sesamum Indicum (Sesame) Seed Oil, Lavandula Angustifolia (Lavender) Oil, Fragrance (Parfum)*. Limonene*, Linalool*, Geranoil*, Coumarin*. * from natural essential oils.